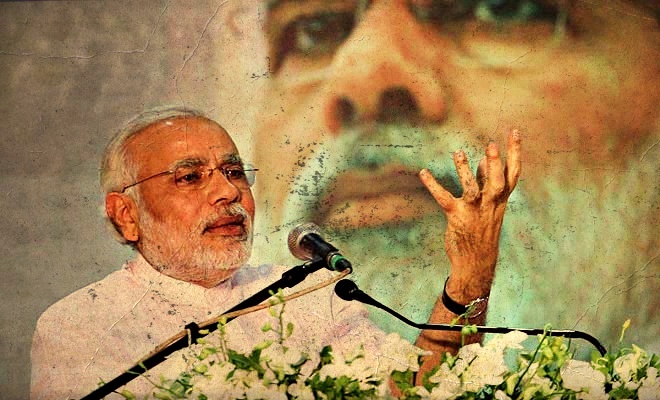 Compared to Modi’s 2014 campaign, this time there is no talk of the economy – rural or urban – or even of taking credit for low inflation, but only of 'igniting the chowkidar in all of us'. Has the BJP hit the right note in its choice of a symbol for political messaging? If the idea was to avoid the pitfalls of the India Shining campaign of 2004, and counter Rahul Gandhi’s oft-repeated jibe, it doesn’t work because the ‘chowkidar’ imagery is problematic for other reasons. For one, there is a difference between chowkidari and leadership. If the problem indeed is one of work, wages, and farm distress, does chowkidari hold out hope of leadership, ideas and transformation? Or does it fall way short, simply evoking security (to capitalise on the Balakot airstrike) and alertness against corruption, with Swachch Bharat thrown in? Second, even as the leader and party seeking re-election get into stride with their anti-corruption platform, comes news of the Yeddy Diaries published by Caravan this week. Unlike Rafale, where no money trail has surfaced yet, here there is plenty. Back in 2014, what was the image Modi the candidate offered? In a strong campaign theme meant to negate the baggage of the Gujarat killings of 2002 as well as overcome the image of being a regional politician, the buzzwords became good governance and development. “Ab ki Baar Modi Sarkar” was followed by “Chalon, desh badle,” and a catchy promise of “Achhe Din”. Among the events which set the tone even before he had been named the party’s choice for prime ministership, was his address to students at Delhi’s Shri Ram College of Commerce where he talked about Gujarat’s model of development, the need for speed in government decision-making as well as skill improvement. The speech struck a chord with the students at the venue and resonated beyond, with scores of young voters-to-be. One report quoted a student present as saying that he struck her as a visionary who could take the nation forward. From visionary to chowkidar is not exactly a transition that responds to aspiration. A re-election campaign is necessarily about defending one’s record in office, but it is interesting to see which elements of his dynamism of yore are not being evoked. For a leader with a pro-business persona, the chowkidar campaign studiously avoids mention of that part of the economy. Is the “suit-boot ki sarkar” jibe still hurting? The essence of the new message is fighting corruption, dirt, social evil as part of nation building and progress. As the PM articulates it now, “Everyone working hard for the progress of India is a chowkidar. Today, every Indian is saying #MainBhiChowkidar”. Now that’s a new connotation for this word. The last time around, orator Modi had highlighted slowing economic growth, high inflation and lack of new jobs – issues which immediately resonated with young and urban voters – while blaming the Congress-led United Progressive Alliance government for these problems. But in a re-election campaign, there is no-one else to blame for promises not delivered. So far, the campaign has also been marked by staged working class interactions. Washing the feet of safai karamcharis at the Kumbh Mela, and after the Main Bhi Chowkidar campaign took off, an audio bridge with 25 lakh chowkidars at different locations who looked alternately poker faced or bemused. More interactions on the chowkidar theme will doubtless follow, one is slated for March 31. Meanwhile reports of underpaid and unpaid chowkidars are being gleefully dredged up by the media, providing more ammunition to the opposition. And Kancha Illiah Shepherd has suggested that chowkidari is about staying poor and guarding the rich. Advertising does not necessarily win elections as the NDA spending in 2004 (Rs 150 crore), the UPA spending in 2014 (Rs 308 crore just in one month, March 2014) and the BJP spending in the Delhi elections of 2015 show. A campaign theme that fires the imagination of voters, can. But will voting for a chowkidar galvanise the voter? 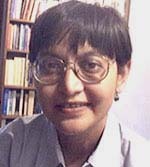 Sevanti Ninan is the founder-editor of The Hoot.